Honeysuckle Stallion + the Eurohorse Fair Poster | Jennifer Pratt Equine Artist. The first painting from my 2011 Colour Forecast Collection is complete. Honeysuckle, Pantone’s colour for 2011, was the inspiration for this artwork. I have to give some credit to my model as well. This striking Lusitano Stallion has been in my reference archives for several years, waiting to be painted. I didn’t hold back on my use of colour for this piece, I wanted to make a statement. Honeysuckle seems to be a colour, which draws a vocal opinion and critique. Interestingly,when friends and colleagues have commented on it, they often refer separately to the colour and the horse. 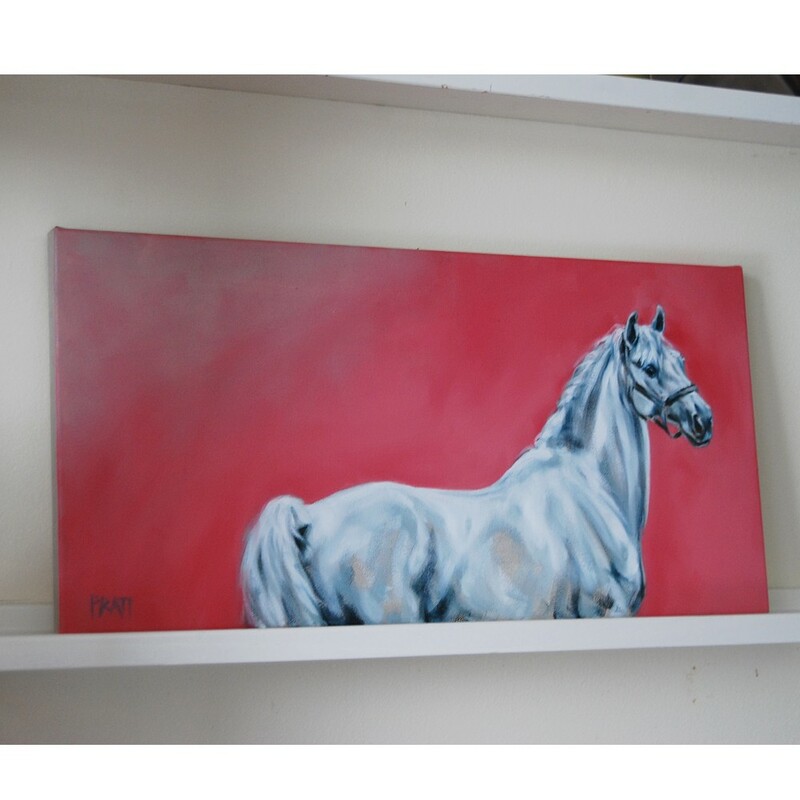 I’ve painted this masculine Portuguese Stallion to wear the colour proudly & I am loving this painting in my studio right now. I am looking for your input. In preparation for my visit to Eurohorse Fair next month, I am creating a special, Eurohorse Fair Limited Edition Poster. These posters will be sold at the Ale Ridsport booth during the event. [http://www.aleridsport.nu/] I hope to see you there, I will be signing posters at the event.